SA fintech startup Bettr has launched the alpha version of its community-built financial ecosystem today at the annual MoneyConf tech event in Dublin. Bettr — which aims to go live in the final quarter of 2018 with its alternative banking service for everyday transactional use — is one of only two South African fintechs to be invited to attend and pitch to heavy-weight investors at the event. The other SA startup that will attend is Johannesburg based cryptocurrency investment platform BitFund. On its website, Bettr claims it will offer a low cost account and app powered by a debit card. “It works like a bank, but with additional features and benefits. Bettr is not a fully licensed bank, meaning we do not lend out your deposits. We make use of a sponsoring bank to keep your money safe,” it says. Via an app, Bettr will offer users access to a financial graph that connects them to a variety of financial products and services such as car or home purchases, or insurance. So far these include online lending platform RainFin, financial wellness initiative Collab and The City of Cape Town’s Youth Empowerment Programme. 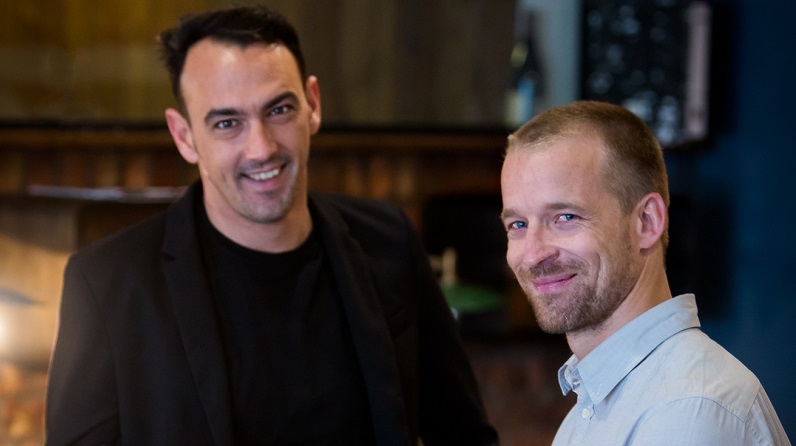 Bettr founder Tobie van Zyl (pictured above, left) and co-owner Andrzej Stempowski (pictured above, right) say they want to connect the world “to the financial graph”. “Based on Open Banking principles, it makes finance accessible, transparent and is integrated to how people can become more by using their money,” the two said in a statement today. Van Zyl started the company in late 2015 along with advisors Marc Herson and Zulfiq Isaacs. The team grew to 11 over the course of 2016 and last year. Stempowski joined in 2016 September as co-founder. The fintech was built on the back of the Revised Payment Service Directive (PSD2) which legally loosen the grip incumbent banks have on consumer data enabling fintechs to develop more open source products. 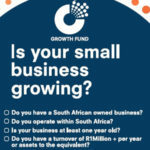 During the beta stage, Van Zyl and Stempowski, says it plans to address South Africa’s bloated student debt, bring financial wellness to employers and enable affordable mobility through eg ownership of a vehicle or travel. Bettr will also give financial recommendations to opt-in users. For instance, if they wish to travel in December, machine-learning algorithms baked into the back-end respond in real-time suggest a savings plan based on the users’ profile and financial behaviour. If travelling to another country, it also converts a user’s budget to afford daily expenses. Van Zyl and Stempowski claim to have crowd sourced intelligence from over 4000 consumers. The outcome is what it calls a “sophisticated, responsive experience” that gives users what they need, on demand or at the tap of a button. Once inside the Bettr app users create their personal financial DNA which optimises their creditworthiness and affordability. Financial, and other types of institutions simultaneously connect to the Graph API (Application programming interface) on a permission bases to offer and originate products and services that users say they want. Editor’s note (12 June 2018): Subsequent to the publication this morning of this article, Ventureburn was alerted that Bettr had made it into the semi-finals of a pitching competition at MoneyConf. Ventureburn will keep readers posted on the startup’s progress in the competition.